In Georgia, theft crimes include several different offenses. A person commits theft by taking when he illegally takes another person’s property and intends to deprive that person of his property. It generally does not matter how the property was taken. Theft crimes can also occur by deception. This happens when a person deceitfully acquires property of another and intends to deprive that person of his property. This type of theft may occur in many ways. For instance, a person who gives a wrong impression about some fact which allows him to take another’s property may be guilty of theft. Another way in which a person commits theft through deception is if he agrees to perform a service even though he has no intention of carrying out the agreement. Theft may also occur by conversion. This happens when a person lawfully obtains funds or property of someone else under an agreement or legal obligation to apply the funds in a certain way or to carry out some action with the property, but instead uses it for himself. Georgia law also recognizes that services may be stolen. A person breaks this law when he attains lodging, amusement, services, or uses property and has the intention of evading payment for the services rendered. Georgia also makes it illegal to avoid payments due for rental or lease of personal property in certain situations. A person who uses a false ID, provides false information on a written contract, makes an instrument for the payment of money knowing that it will not be honored, returns property to a location that will not reasonably be known to the owner of the property, or abandons property at a location that is not the location agreed upon may be guilty of this crime. A conviction of these crimes is a misdemeanor except in cases where the value of the property exceeds $500. 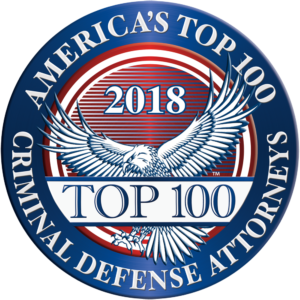 If the property exceeds $500, a conviction will generally result in a 1- to 10-year sentence, or the trial judge may exercise discretion and convict the defendant of a misdemeanor. It should be noted that there are several exceptions. If a person commits theft by deception against a person who is 65 years or older and the value exceeds $500, a conviction will result in a sentence between 5 and 10 years. In addition, property that is stolen by a fiduciary in violation of his duties, or by an employee of a financial institution or government in violation of his obligations, will result in a sentence of 1 to 15 years. Financial transaction card theft is also a crime. This may occur in several different ways. A person who takes, obtains, or withholds such a card from the person of another without consent may be charged with theft. If a person has knowledge that a card has been taken, obtained, or withheld and receives the card with intent to use it, sell it, or transfer it to a person other than the issuer or owner, he may also be charged. It is also a crime for a person to receive a card that he knows to have been lost or delivered by mistake and to retain possession with the intent to use, sell, or transfer it. Georgia also makes it illegal to sell or purchase a card from a person other than the issuer. It can also be a crime to receive two or more cards in the names of someone else over a 12 month period. Generally, such offenses can result in a sentence of 1 to 3 years and a fine up to $5,000. However, in some cases, the offense may be charged as theft by taking. Georgia also recognizes several fraud related offenses including financial transaction card fraud. A person commits this offense when he has the intent to defraud and uses the card for the purpose of obtaining money, goods, services, or anything of value. Cards that fall under this law include those which are defined under the financial transaction card theft statute, or when a person knows the card is forged, expired, altered, revoked, or was obtained by fraudulent application. If the value in question exceeds $100, a conviction will generally result in a 1- to 3-year sentence and up to a $5,000 fine. In addition, Georgia law provides many other ways in which someone can be charged with financial transaction card fraud. Deposit account fraud is also a crime in Georgia. A person commits this offense when he makes, utters, draws, executes, or delivers an instrument for the payment of money on any bank or other depository in exchange for money or some present consideration when he knows that it will not be honored by the drawee. Generally, a conviction of deposit account fraud when the amount in question is for $500 or more will result in a sentence up to 3 years and a possible $5,000 fine. If the instrument concerns a bank from another state, a conviction will result in a 1- to 5-year sentence. A criminal defense attorney has many options in defending allegations of theft or fraud. Of course, the state must prove every element of a crime as charged. There can be no conviction if the state cannot prove every element beyond a reasonable doubt. For instance, theft by taking requires several elements including the intent to deprive the owner of his property. If there is no evidence of this intent, there generally can be no conviction. A defense attorney will also investigate the arrest and any police investigations that were conducted for possible defenses arising from improper police conduct or procedures. A primary line of defense is to determine whether any searches or seizures conducted by police were legal. If evidence was discovered in a vehicle, the attorney will have to determine if the officer who stopped the vehicle had cause to do so. It will also have to be determined if the officer had cause to search the vehicle or if consent was given by the accused. If evidence was discovered in a dwelling, an attorney will have to verify that the search was based upon a valid search warrant or other cause. If the police violated a person’s rights, a judge may be forced to suppress any evidence gathered as a result of the violation. Many other potential defenses are available to a defendant accused of theft or fraud. If you have been charged with one of these offenses, you need an experienced Atlanta attorney who will defend your legal rights. Our firm has successfully represented clients charged with theft and fraud and may be able to help. The information provided above is a very general summary of Georgia’s theft and fraud law at the time this text was prepared. Because this analysis is subject to change depending upon recent cases and legal developments, you should not rely on this summary as legal advice. As with any important legal question, you should always consult a Georgia criminal lawyer familiar with your jurisdiction. Our lawyers are licensed to practice in all state and federal courts in Georgia.